﻿ ﻿ ﻿ Oriental Rugs, Persian Rugs, and Area Rugs of all kinds is what you get at C. Harb's Rugs in Jacksonville, Floride where we can handle all of your residential and commercial interior area rug decorating needs with our third generation rug experts and our extensive rug gallery. C. Harb’s Rugs is a third generation family business specializing in selling, servicing, and informing about the wonderful world of rugs. We understand the special needs of interior designers, and work with many. We have one of the largest inventories of rugs in northeast Florida, at all price points, from traditional, to transitional, to contemporary, including oversized, rounds, and shapes. 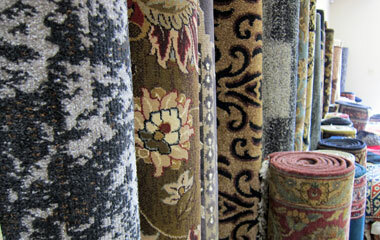 Rugs can also be custom made to fit your own design requirements. We appreciate the opportunity to service your clients. Our showroom is available to you and/or your clients. 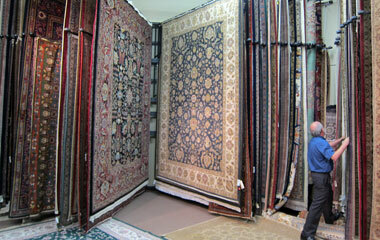 We offer in-home rugs on approval, and a lifetime trade-in policy on our hand knotted rugs. To all our professional designers we extend a “special consideration” for your time, effort, and assistance in placing our fine rugs in your clients’ homes or offices.